The Ice Spa Therapy is 21-inches tall and can be used on fore and hind legs. 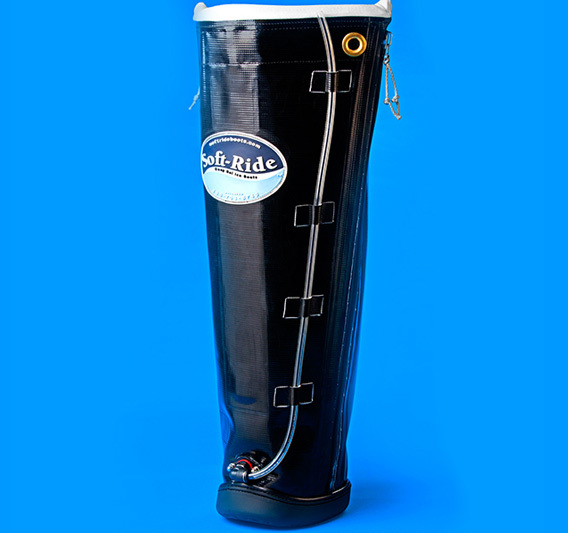 It is tall enough to cover the knee and hock on smaller horses and can be used for post-workout/performance recovery. Because of it’s smaller size, the Therapy provides superior comfort when following long icing protocols for laminitis and sepsis. The 21-inch height allows a horse to move around and even lie down in the stall. 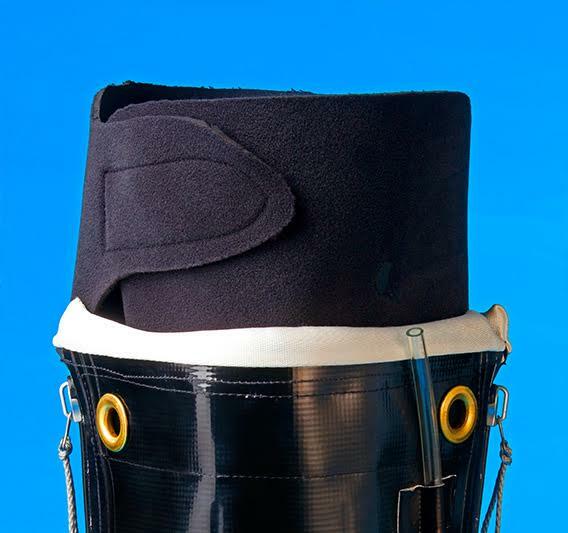 A comfortable, neoprene leg overwrap keeps ice and water contained without chafing. 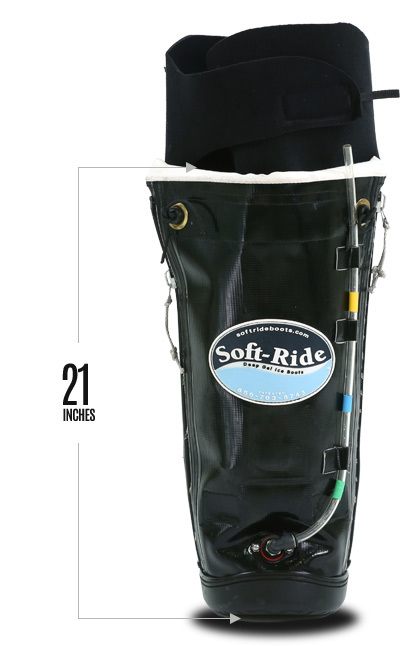 Two heavy-duty, waterproof zippers seal the Ice Spa and make it easy to put on and take off. 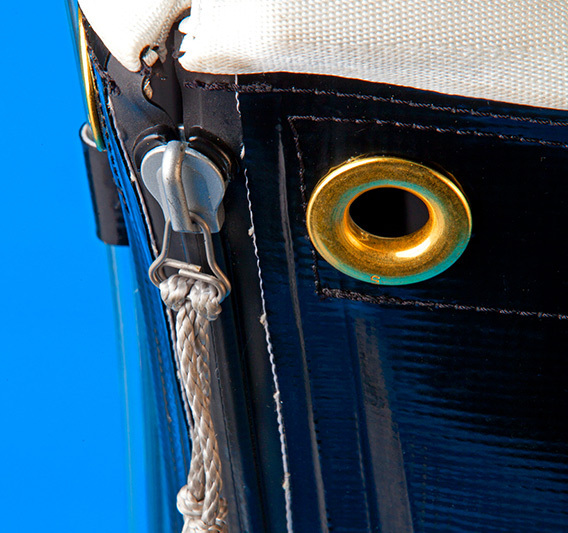 The zippers also allow the boot to be completely opened for cleaning and drying. (Each Ice Spa ships with a container of zipper sealant with applicator brush and a zipper lubricant samof. A flexible line drains water from the Ice Spa while it is still on the horse, allowing more ice to be added. The Ice Spa’s drain line also doubles as a fluid level indicator. Color-coded marks show how much soothing ice water is in the Ice Spa and help ensure you’re icing as much—or as little—of the leg as you want. 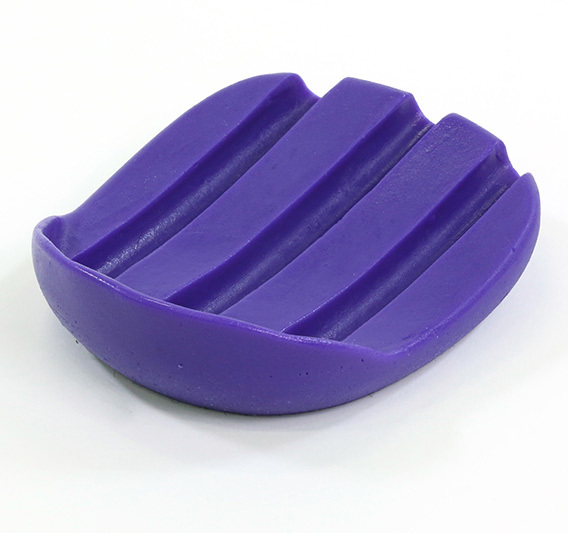 Our unique hoof retention collar comfortably and securely holds the foot in place and prevents your horse from stepping out of the Ice Spa. 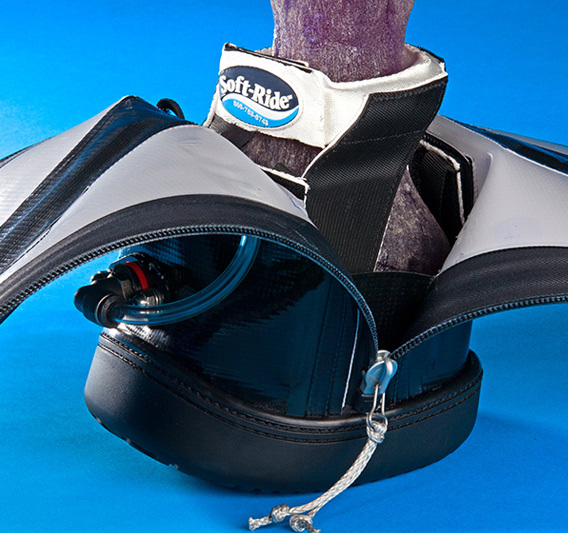 Just like Soft-Ride boots, all Ice Spas include a specially designed Gel Orthotic. When a horse shifts its weight, it loads and unloads the gel and creates a pumping action that circulates ice water through the orthotic channels, helping to cool the entire foot. The gel orthotic also provides comfortable support, even during long duration therapy such as the 72-hour protocol for acute laminitis or post-colic surgery. Download the instructions for the Soft-Ride Ice Spa. 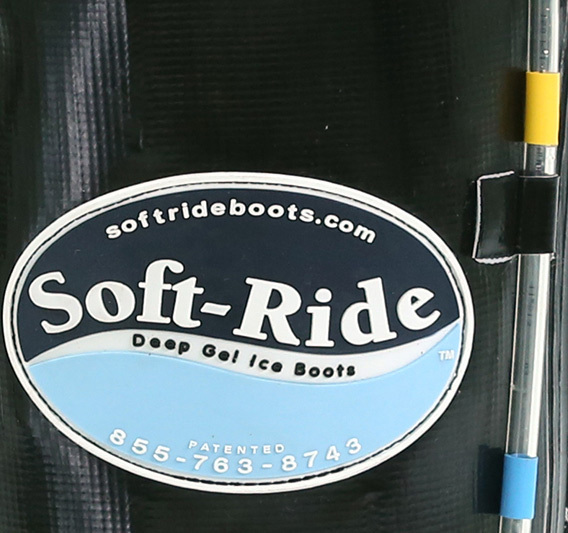 Download the Soft-Ride Ice Spa Application Instructions.